Giveaways and New “Aria” Excerpt! Happy Friday! Why does it seem that time speeds up around the holidays? Not only is Chanukah half over (it ends Sunday night), but Christmas is a little over a week away. The stores are nuts as people make last-minute gift purchases, the kids are out of school, holiday parties are in full swing. In ten days, Aria (Blue Notes #3) will be released by Dreamspinner Press, and I’m busy wrapping up some pre-release giveaways. Last week, I gave away two Blue Notes Series t-shirts. This week I’m giving away an ebook copy of your choice of Blue Notes #1 or #2. Comment on this post by midnight on 12/15 to be entered to win. I’m also running a giveaway for an autographed copy of Aria on Goodreads, so be sure to sign up for that one. Today, I’m offering up a new excerpt from Aria, from Chapter Two. It’s the first time we meet opera singer Aiden Lind, and his career is taking off. But in spite of his career success, his personal life isn’t faring as well. This excerpt also features one of my favorite characters, conductor David Somers, who will have his story told in the next Blue Notes book, Prelude. NOTE: The Blue Notes Series novels can be read in any order. Each is a standalone book set in the universe of classical musicians. 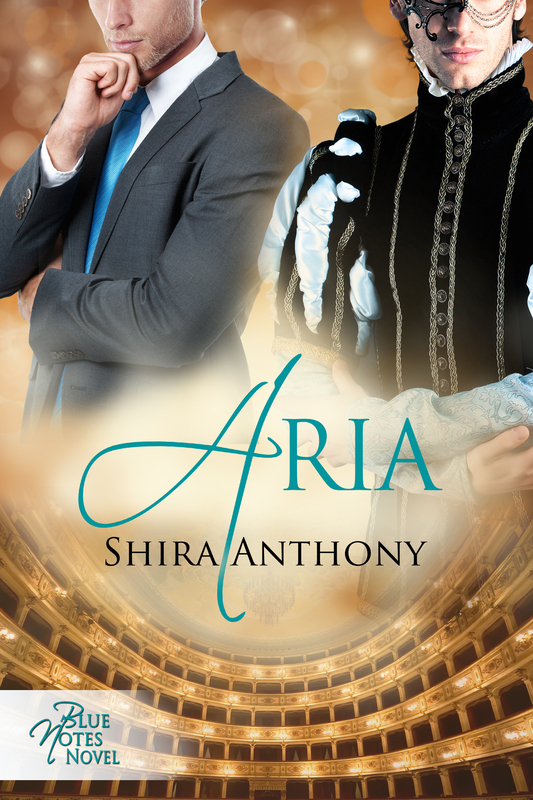 Aria (Blue Notes #3) is available for preorder at the Dreamspinner Press website. Thank you for the excerpt! I’m looking forward to reading “Aria” when it is released! A great excerpt! Thanks so much for a chance to win one from your Blue Notes series.